The best way to make any move less stressful is to hire a professional moving service to help. 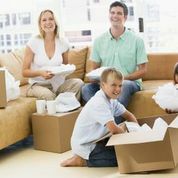 From packing to helping you reach your new home on time and without incident is our goal. At All Around Moving & Storage, we are here to help you every step of the way. We’ve been helping people move successfully since 1984, and we are well-trained and equipped to get you where you need to go. When moving to any area that isn’t familiar to you, it’s important to know some things about it. Gross Pointe, MI is a small coastal suburban city that only covers one mile. This area has a population of 5,421 according to the United States Census that was completed in 2010. This is the home of the popular singer Anita Baker, who has won eight Grammys during her career. It’s a good idea to be on the lookout for her appearance because it has been stated she enjoys visiting her hometown occasionally. You are sure to have numerous things to do while residing in Gross Pointe. Some of these may include making a visit to The Village Shopping District, which offers numerous shopping stores and a host of good dining options. Additionally, consider paying a visit to Neff Park where you can have access to a pool, playgrounds, volleyball courts and even ice-skating if the weather permits. If you have a move planned to Gross Pointe, MI, don’t face it alone. The experts at All Around Moving & Storage are here to help. Be sure to give us a call today at 734 941-2280, and we’ll provide you with a free estimate today!